Are You Taking Too Much Vitamin D | George Kramer, M.D. “Vitamin D is dangerous.” “You have to be very careful with vitamin D.” “Vitamin D can easily become toxic and lead to many problems.” “It is risky to take more than 1,000 units of vitamin D per day.” Have you ever heard statements like these? I have. Probably a month doesn’t go by before I find out that some doctor said as much when he found out I had prescribed a “dangerously high dose of vitamin D.” So imagine how happy I was to find a review article on the incredible safety of vitamin D in one of the most respected medical journals in the U.S. In the May 2015 edition of the /Mayo Clinic Proceedings/, researchers reported on a study that looked at over 20,000 vitamin D blood tests done between 2002 and 2011. They found that the number of people testing with vitamin D levels over 50 ng/ml increased more than 25 times. No doubt this was because of the fact that vitamin D supplementation has been shown to be one of the most important things we can do for our health. And more and more doctors are prescribing it. But what about safety? If the levels of vitamin D increased so dramatically over that period of time, surely the number of toxicity cases went up as well? Not so fast, Partner. Out of more than 20,000 cases, they found only one case of toxicity. And that patient had a vitamin D blood level of 364 ng/ml! This is more than five times higher than the recommended optimum blood level of 70 ng/ml. The other concern that doctors have is the chance of harmful elevated calcium levels. This happened only in four patients. And when their vitamin D intake was reduced, the calcium levels quickly returned to normal. All those concerns of kidney stones, cardiovascular calcifications, and death did not occur in one person – even in the patient with the 364 ng/ml level. And this isn’t the only study verifying the incredible safety of vitamin D even in high doses. Another study reported just last year on more than 17,000 healthy adult volunteers who were taking doses of vitamin D up to 20,000 units a day. Not one of them had any toxicity. 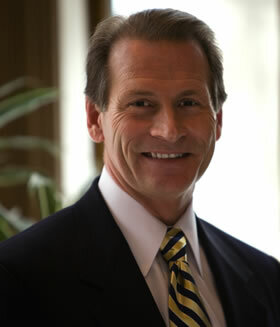 Michael L. Holick, MD is an endocrinologist and is probably the world’s leading expert on vitamin D supplementation. Here’s what he had to say about vitamin D in the same /Mayo Clinic Journal/ issue. So there you have it. I hope this puts the vitamin D toxicity crisis in its proper place. It’s always amazing to me when a doctor who spends 80% of his life writing prescriptions for patent drugs with serious documented toxicity gets his dander up over a patient taking a vitamin. So if your doctor ever gets excited over your vitamin D intake, be sure to help him out and give him these references so he can sleep better. In the meantime be sure to take enough vitamin D to get your blood levels between 50-70 ng/ml. This is the level that offers maximum protection. I usually recommend 5,000 IU daily of vitamin D to get to that level. And once you get to that level, check your blood calcium just to make sure that you aren’t that exceedingly rare person whose levels go up from taking the vitamin.